Comfy Bummy is excited to reveal our current product giveaway! 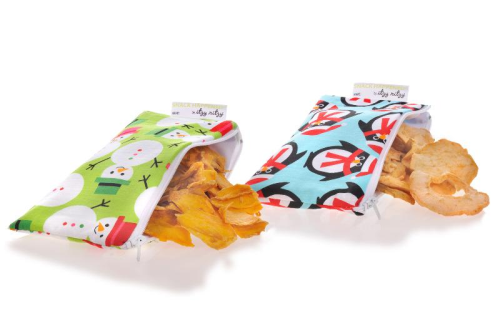 For any purchase made at Comfy Bummy that exceeds $29, you will receive an adorable Itzy Ritzy Holiday Mini Snack Bags or Regular Sized Snack Bags! Perfect Stocking stuffers! Hurry and get your FREE Holiday Snack Bags!! Free offer is only applicable to total before tax and shipping. Snack bags will be chosen by Comfy Bummy. One offer per order. Coupon can be used twice per customer.